The Shofar Blast by Sher Magins - 8.000" x 5.625"
The Shofar Blast art print by Sher Magins. Our prints are produced on acid-free papers using archival inks to guarantee that they last a lifetime without fading or loss of color. All art prints include a 1" white border around the image to allow for future framing and matting, if desired. beautiful, evocative, the world of our fathers calling to the world of today... wonderfully done, Sher! Congratulations on your sale of a wonderful piece! 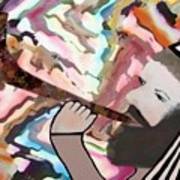 I love the sound of the Shofar blown! 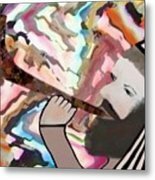 Thank you for your purchase of The Shofar Blast Print. I hope you will enjoy this unique art. 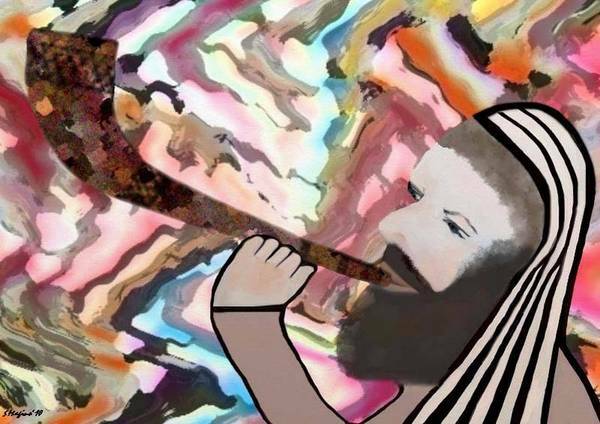 The shofar blast represents the blowing of the shofar at the Jewish high holy days of Rosh Hashanah and Yom Kippor. 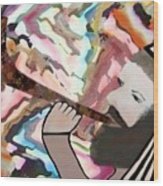 In this painting, the sounds emanting from the shofar are the colorful backround design. The shofar is made from a ram's horn.